Everything you need for a relaxing holiday or successful conference awaits you here, from typical Brazilian cuisine and rooftop cocktails to a fully equipped business centre and diverse health facilities. The hotel enjoys a prime location close to the city's most famous landmarks. The fashionable Ipanema Beach also lies nearby. * HOTEL POLICY :Children and teenagers under 18 years old are required to present identification and must be accompanied by parents, guardians, or have permission of the Juvenile Court, in case of travelling with others** The parking has an extra charge, places on request (is not possible to make reservations). The superior room has Private balcony with letarals views to Copa Cabana Beach also has minibar, air conditioning, telephone, shower, cable TV and private bathroom. *Before arrival must say if want 1 double bed or 2 beds. Children under 12 years free without extra bed Begins the summer on Wednesdays, Thursday and Friday of 18h to 21h in the bar Skylab enjoying the kitchen of the chef Yves Poirey. Hotel underwent renovation in 2007. There are a total of 71 rooms on the premises. 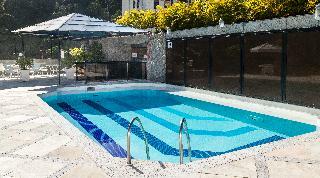 The property consists of 9 suites, 71 apartments and 6 triple rooms. This popular hotel provides the ideal base for exploring the area. 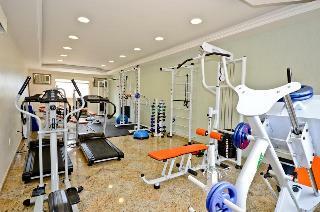 The Hotel provides air-conditioning in public areas. The Hotel provides 24-hour reception. Guests may keep valuable items secure in the Hotel safe. The Hotel provides a lift. The Hotel offers internet access for guest convenience. 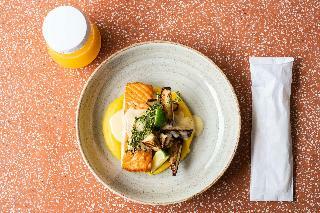 Guests may indulge in room service. The Hotel offers a laundry service. The property is wheelchair-accessible. Check-out is at 00:00. Multilingual staff is available to help guests with any queries or service bookings. Pets are allowed at this establishment. Large pets are allowed at this establishment. 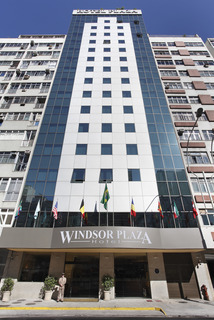 Copacabana Rio Hotel is situated around the block of the famous Copacabana Beach and 9 km from the Santos Dumont airport. Enjoy the heated pool on the rooftop with beautiful panoramic views of Copacabana Beach, Sugarloaf Mountain, Ipanema see and Leblon. 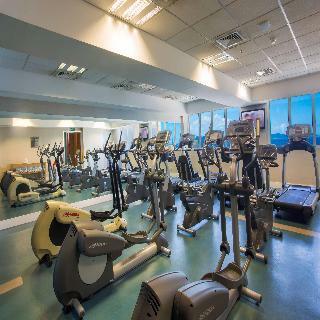 The hotel also offers free wireless Internet, a dry and a steam sauna, a fitness centre, a daily open bar-restaurant, which serves international cuisine, special cocktails, American breakfast with seasonal fruit, juices and pastries. The Copacabana Rio Hotel apartments have a colorful design and wooden furniture. All of them are equipped with air conditioning, cable TV, mini bar, and comfortable goose feather pillows. This hotel is a comfortable hotel for business and pleasure trips. 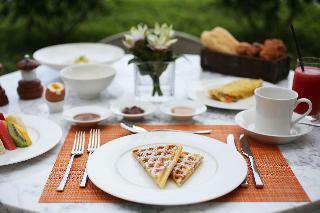 Moreover, there is 24-hour room service. This up-scale and world-class hotel enjoys a convenient location in the centre of Río de Janeiro, just a few steps away from the famous Copacabana Beach. The historical centre is also not far away from the premises and the popular Sugar Loaf Mountain is around a 10-minute ride away. Business travellers might also like to know that Rio de Janeiro-Galeao Antonio Carlos Jobim International Airport is around 25 kilometres away. Guests will be able to have an amazing experience at one of the hotel's luxurious guest rooms and suites. All of them are smartly appointed with modern and classical touches to make visitors feel home away from home. Some of them even have breath-taking views over the ocean, adding a special feature to every stay. On the rooftop terrace, guests can exercise at the contemporary fitness centre and afterwards bask in the sun by the infinity-edge swimming pool. 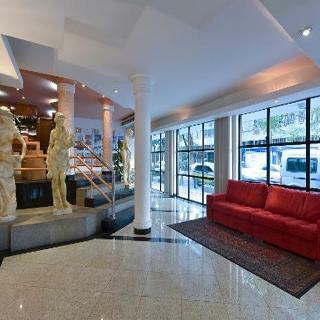 This comfortable hotel Atlantico Copacabana is situated only 3 blocks away from the most famous beach of the world, the Copacabana in Rio de Janeiro. 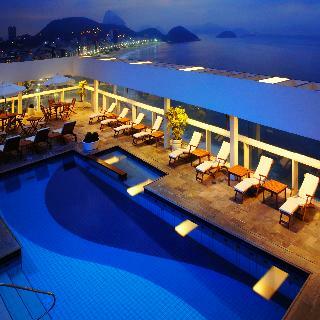 It features a lovely rooftop pool with wide open views over the city and of the Christ the Redeemer statue. The Siqueira Campos metro station is located just opposite the hotel, providing easy access to all parts of the city. The beach of Ipanema is around 4 km away.